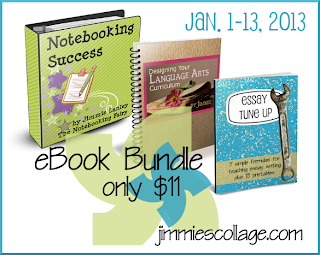 Now through January 13th get Jimmies Collage 3 eBook bundle for only $11.00 regularly $16.79. But wait if you use this special code EXTRABUCK you will get an additional $1.00 off making the 3 eBooks only $10.00. Now through the end of January you can get 50% off 31 Days to Build a Better Spouse eBook just enter this special code JAN2013. This makes the PDF eBook only $2.49. 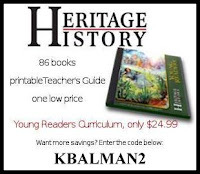 SPECIAL OFFER for Kathys Cluttered Mind readers through January 31st: Use code KBALMAN2 to get the Early America library for FREE ($19.99 value) when you buy any curriculum CD Library (5 choices: Young Readers, Ancient Greece, Ancient Rome, British Middle Ages, and British Empire; each $24.99). Unit Studies offers AWESOME specials daily specials right now through January 6th. They are changing everyday so make sure you visit the website daily. There are $3, $4 and $5 deals so its a great time to stock up. Plus if you purchase any 7 studies you will get a single study of your choice FREE. There are several great sales on lapbooks at A Journey Through Learning. Be sure to snag the MLK Express Lapbook for only $1. Remember there are BIG savings and FreeBees on thousands of fantastic curriculum choices at CurrClick. And if you haven't checked out the amazing LIVE classes at CurrClick now is your chance during the Winter-Spring Meet & Greet Open House. 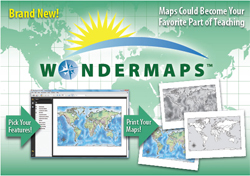 There will be a giveaway at every classroom open house event you attend. We Choose Virtues is having several sales right now on their website ranging from 10%-20% off. Bright Ideas Press is offering several specials right now on curriculum. 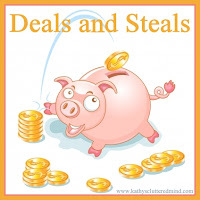 Be sure to check the coupon code page too located under the store for the most recent coupon deals. Get Family Time Fitness for your homeschool PE curriculum and start the year off right. The full PE curriculum is on sale for ONLY $57 right now. Read more about Family Time Fitness this blog post I wrote last year. Use coupon code KUBSAVE at check out to save a min. of 20% on A+ Math. I will have a review posted Saturday about A+ Math. Update through the end of March you can get 50% off A+ TutorSoft curriculum. Just use code spoffer50 at checkout.